I traveled to Scotland for the weekend with 3 of the friends I made while in London. 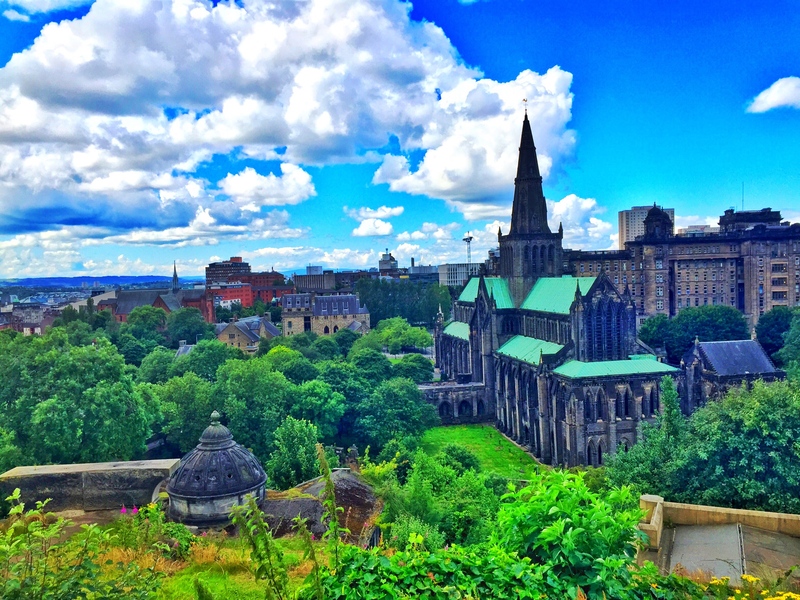 We explored two very different cities, Glasgow and Edinburgh. Here you’ll find tips, pics, and details about the trip! I have flown through the air in a metal tube a countless amount of times over the past 20 years of my travel filled life, and I have never once missed a flight. I always make sure to arrive at the airport at least an hour before boarding time with all of the required documents in order. But the weather and traffic on the way to London Luton airport tested my luck and routine preparedness, despite leaving THREE HOURS before flight time for a weekend trip to Scotland. Rush hour mayhem outside of the city and the first rain storm in weeks had our bus advancing toward the airport in inches. What was supposed to be a one hour journey, slowly became two, and then two and a half! We pulled into the tiny airport parking lot two minutes AFTER our gate was supposed to be closed. I was convinced we already missed our chance for the flight, and for Scotland, but we rushed to the gate anyway. Our group of four girls caused quite the scene as we sprinted through the airport, bags whirling across the floor, shouting back and forth at each other. With seconds to spare, we were the last group to pass through the gate for the flight. I was out of breath and in disbelief when we finally boarded the plane; we were on our way to Scotland! Everyone has heard of the luck of the Irish, but after this experience I think Scottish luck must exist too! My ancestors from Scotland were looking out for me, yearning for me to visit their country to experience it’s fascinating history and beautiful sights. 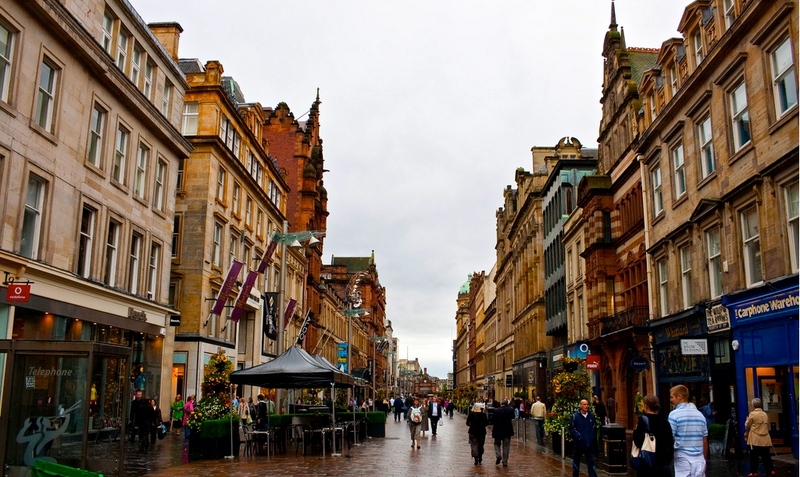 Glasgow is a port city located in the western lowlands of Scotland. Once the murder capital of Europe (home of the “Chelsea smile” gang), it is now known as the cultural hub of the country! 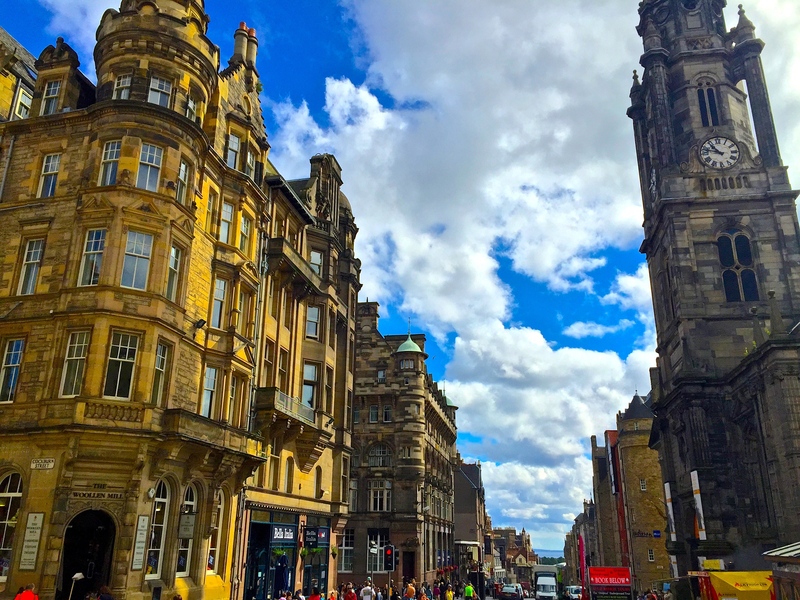 Since I was only in the city for half a day, I was unable to experience the thriving music scene or tour the variety of famous museums…but my time in Glasgow was exciting nonetheless! Equally as eerie as it is beautiful, the Glasgow Necropolis is a must see attraction. There are over 50,000 people buried here, 3,500 of them with elegant, Victorian gravestone monuments. 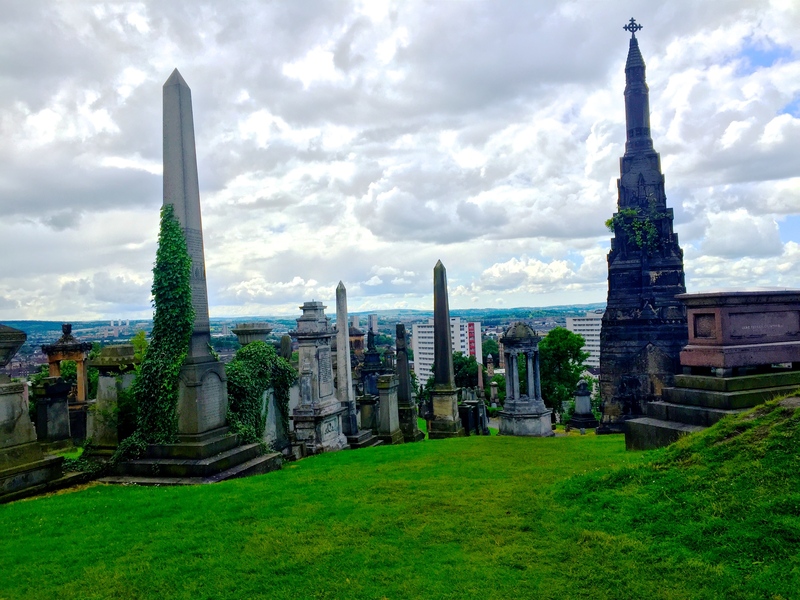 Wandering through the Necropolis allowed me to get a sense of Glasgow’s history as I admired the detail and size of each distinct monument. There is also a great view of the city from atop the hill where the cemetary rests. 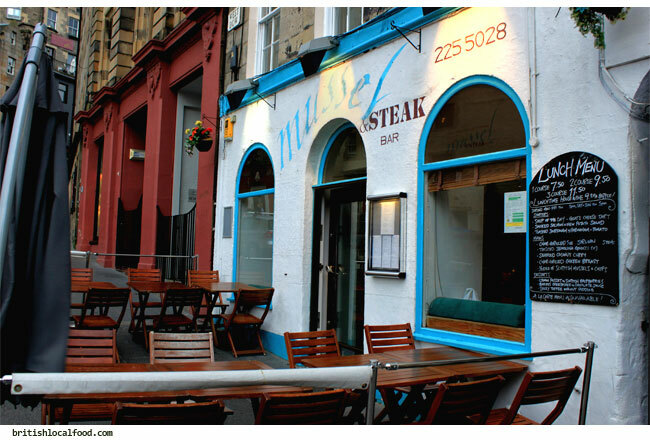 Waxy’s made Buzzfeed’s list of “bars around the world you should drink at before you die”, so of course we had to check it out during our time in Glasgow. 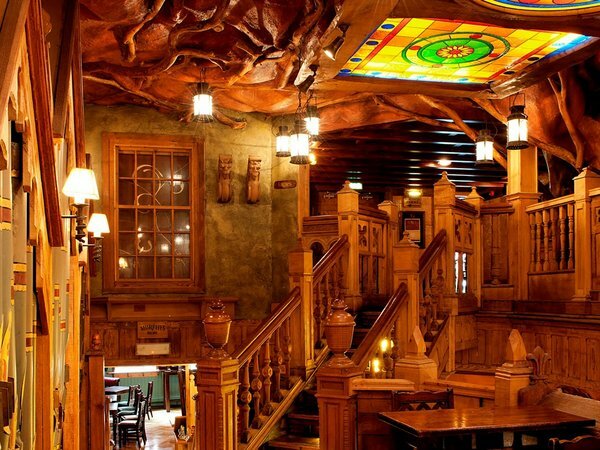 There are three floors, six bars, nine different rooms, and amazing decor, which make this bar stand out from the rest. The unique wooden details and beautiful mosaics throughout each level made me feel like I was inside of the most elaborate treehouse in the world! When I saw the shops lining Buchanan Street near Glasgow’s center, I began wishing I had budgeted better earlier in my trip! This shopping area is home to a range of shops — from geeky cult entertainment stores to high-end clothing boutiques. 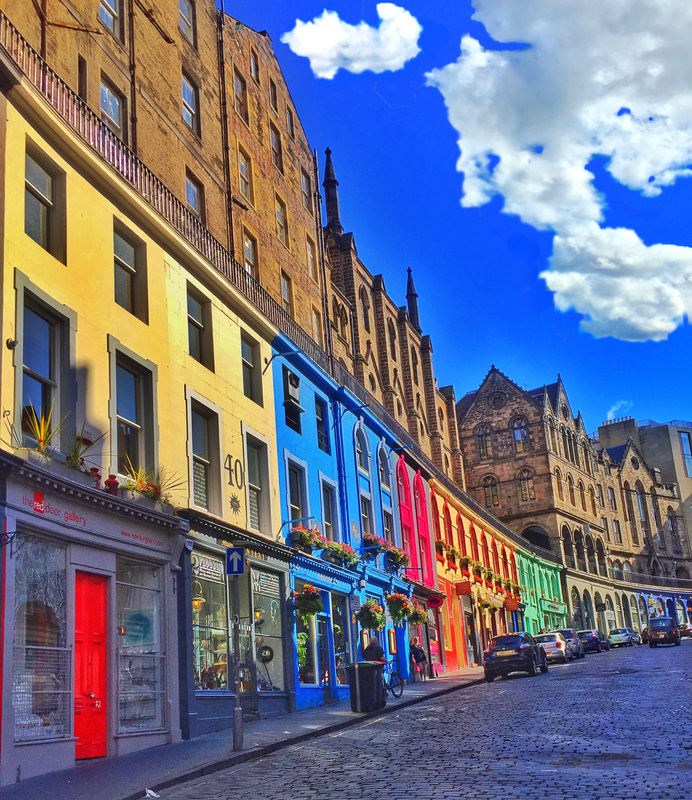 Known as the Athens of the north, Edinburgh is a town rich in culture and history. The city sits atop seven hills with beautiful sights around each corner similar to other ancient cities like Rome and Athens. It’s medieval Old Town and Georgian New Town are stitched together by archaic traverses, and a view of the Edinburgh castle built high on the castle rock can be seen from most areas. In this city with so much to offer, we did our best with so little time. We spent the day exploring by guide, sipping tea with elephants, and tasting the sea. 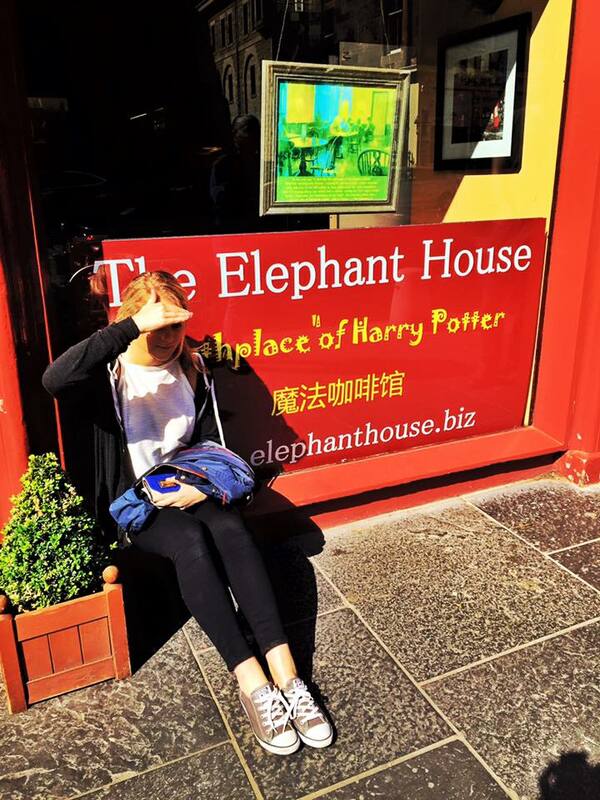 I was not completely taken with Edinburgh UNTIL I participated in this walking tour. Led by volunteers through SANDEMAN’s, this tour was the absolute best way to see and learn about the city. Our guide, Albert Anderson, was extremely knowledgeable and entertaining, making the two hours fly by. I learned loads about Edinburgh’s dramatic medieval history, along with the city’s important scientific and literary contributions to the world, and there was even a segment dedicated to J.K Rowling and the connection to Harry Potter! *SANDEMAN’s NEW Europe offers FREE tours in 18 cities across Europe. I loved the tour so much that I will be taking the one offered here in London, too! 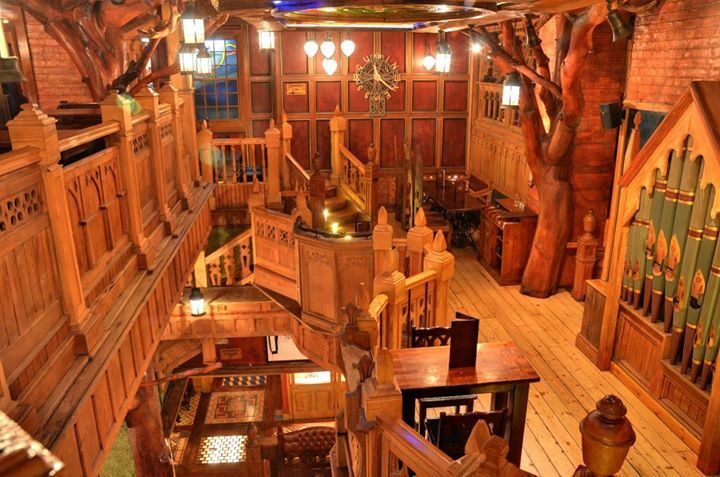 The cafe also offers a variety of delicious food and drinks, cute merchandise, AND the most magical bathrooms in all the land. 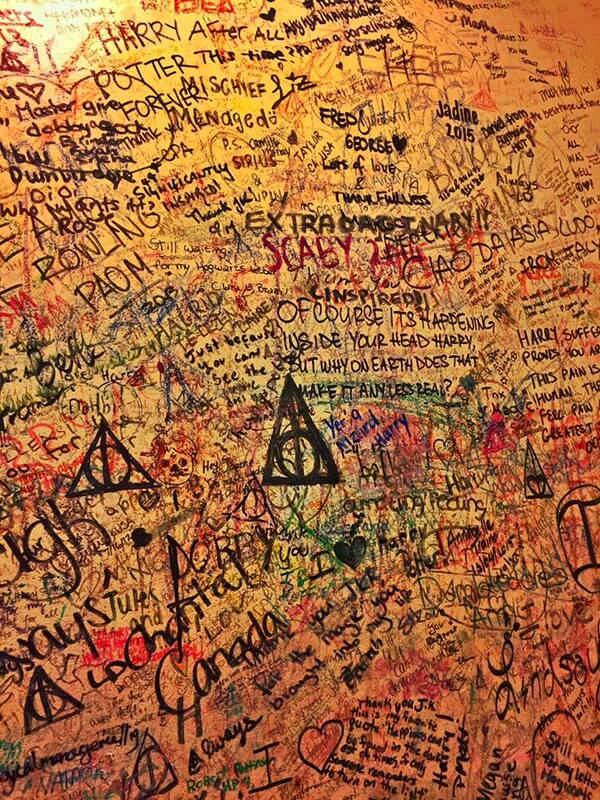 Every inch of wall space in the women’s (and I assume men’s) room is covered up by testimonies, quotes, drawings, and signatures by Harry Potter fans from around the globe. 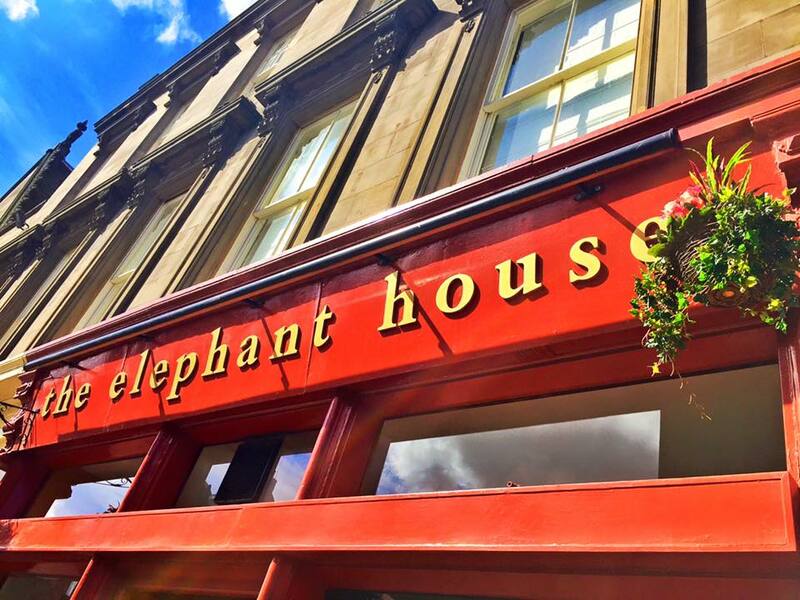 I recommend visiting The Elephant House during the early morning hours, as it can become very crowded during the peak midday tourist hours. 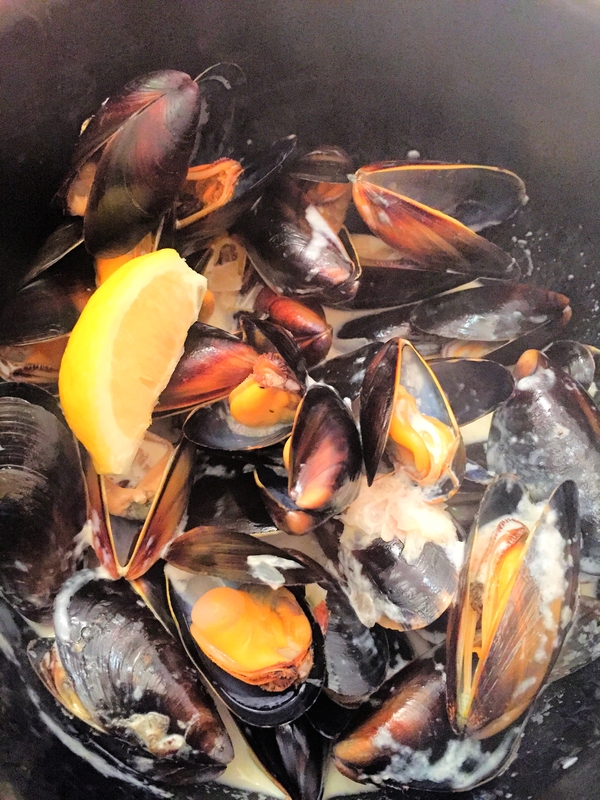 The delicious aroma trickling out the door was enough to attract our business as we walked past the Mussel & Steak Bar, located in the vibrant area of Grassmarket. The set lunch menu offered many options for relatively low prices! I opted for the smoked salmon appetizer, mussels in white wine sauce, a side salad, and finished off with a crêpe with vanilla ice cream. It was one of my favorite meals from this entire two month UK trip! Even though I was only able to be with the country for a ‘wee bit’ of time, I completely fell in love. I hope to return some day to explore the northern lochs, coastal islands, and highlands. 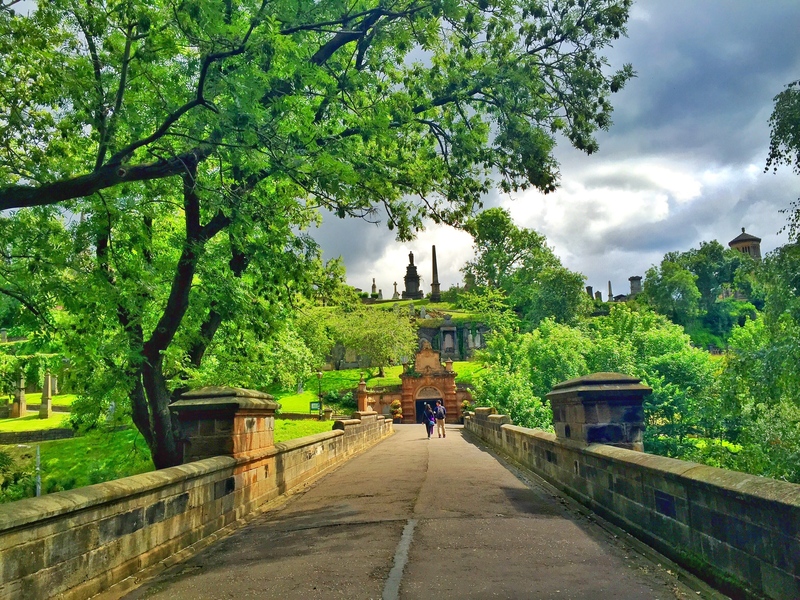 This little excursion was just the beginning for me and Scotland!